A comprehensive work that brings together and explores state-of-the-art research on the link between stress and health outcomes. 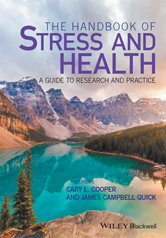 Offers the most authoritative resource available, discussing a range of stress theories as well as theories on preventative stress management and how to enhance well-being. What Was Known Regarding “Stress and Health” Half a Century Ago? Much Cry and Little Wool? Can Work-Related Stress Be Prevented? Does Emotional Intelligence Correlate with Health Outcomes? Why Should Emotional Intelligence Predict Health? Conclusions: Is Emotional Intelligence Useful to Health Psychology Practitioners? Does Optimism Have a Downside? Cancer-Related PTSD and Positive Change: The Silver Lining?